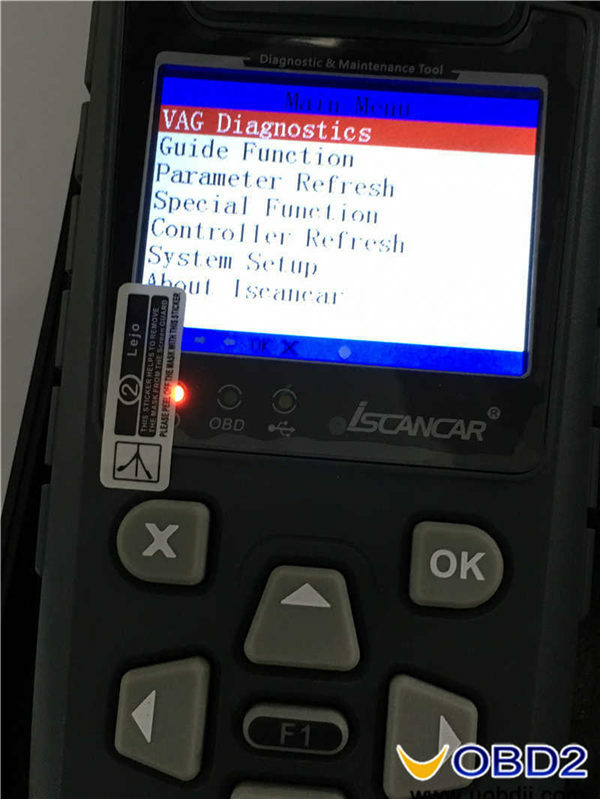 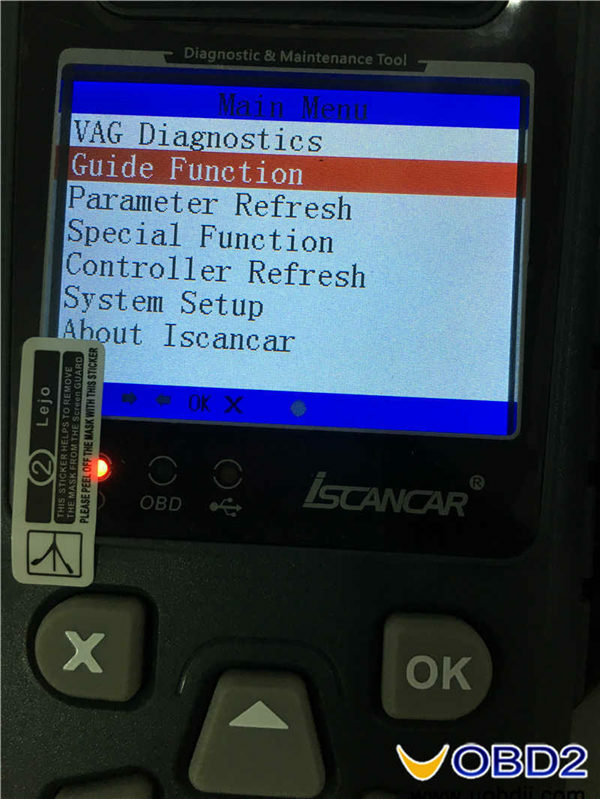 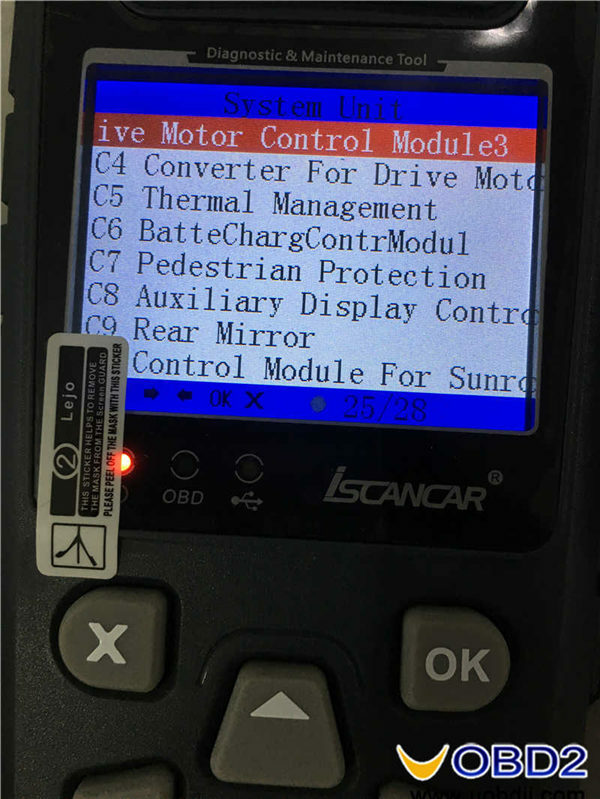 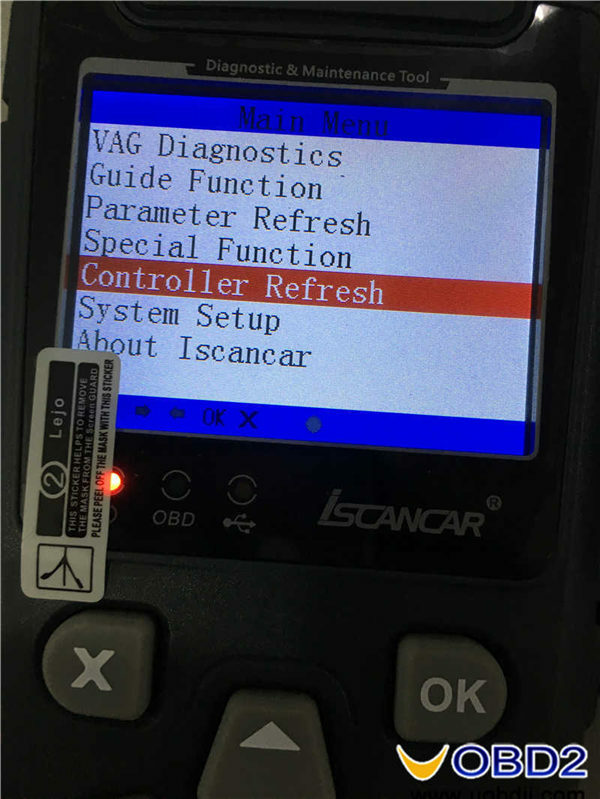 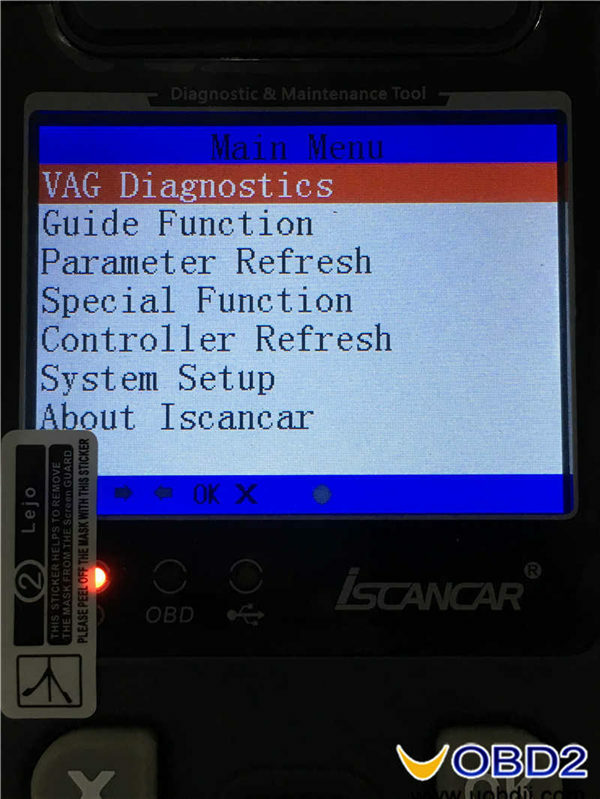 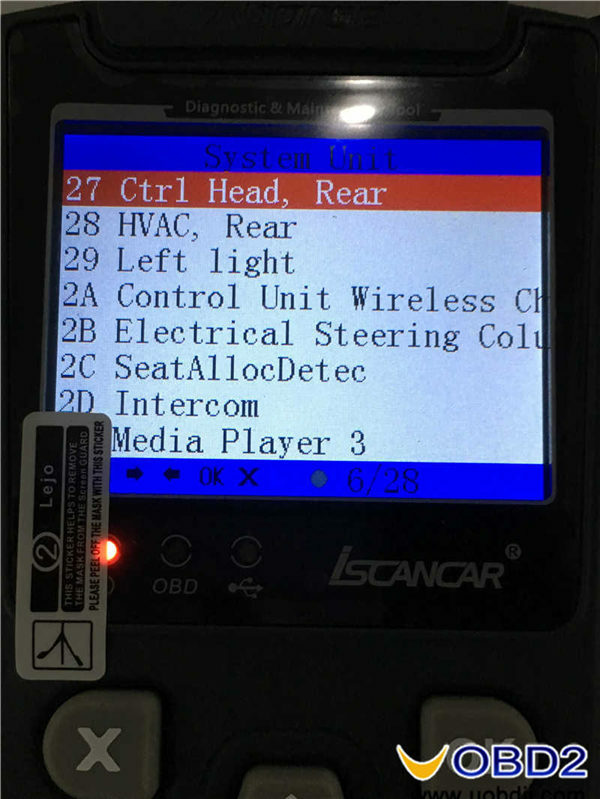 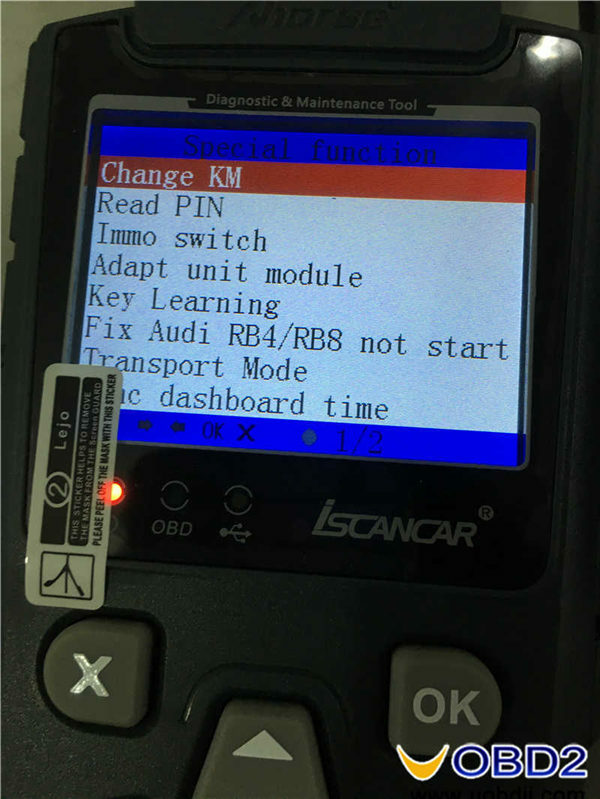 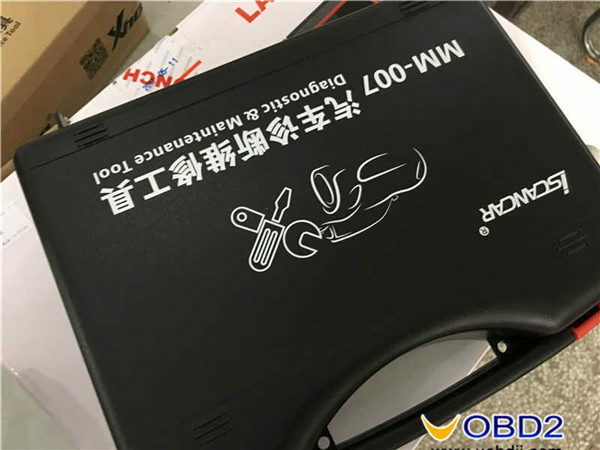 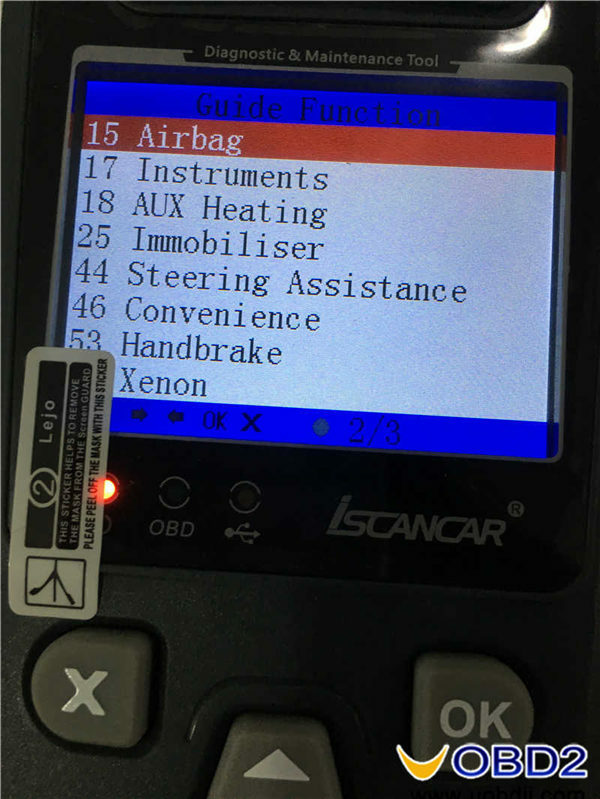 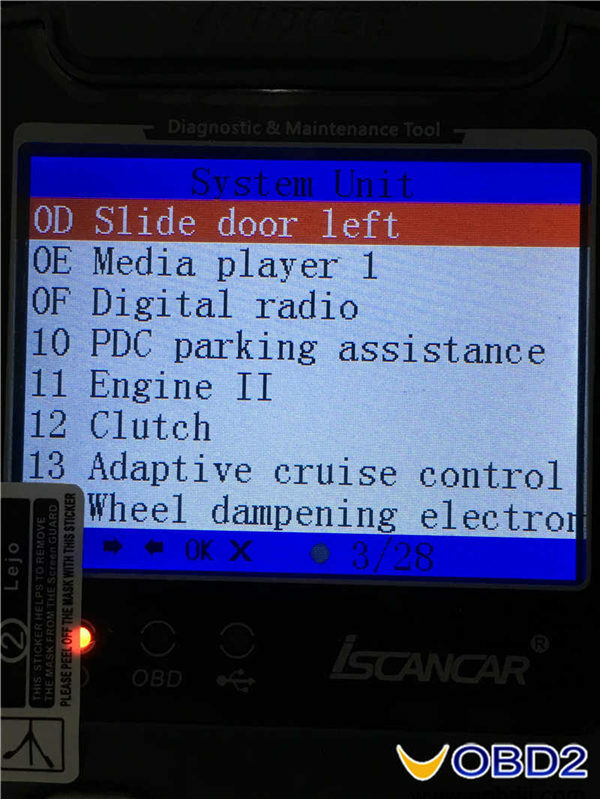 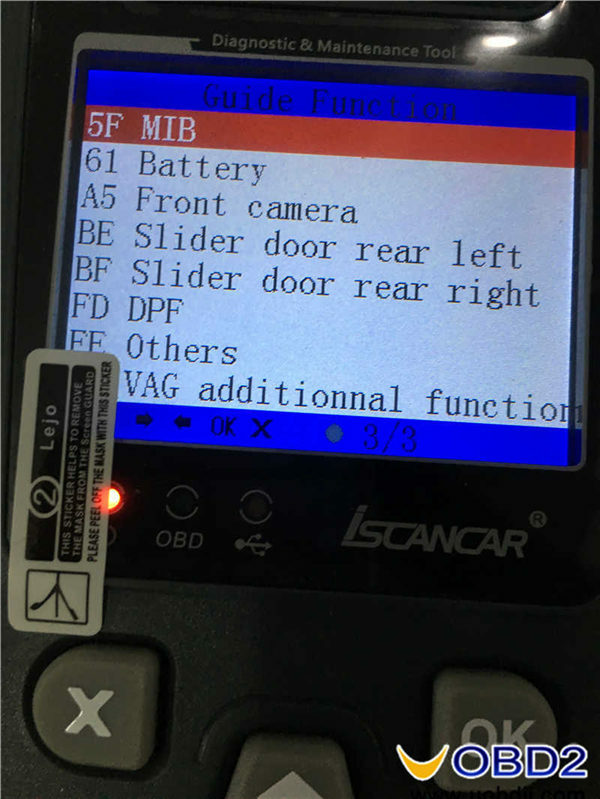 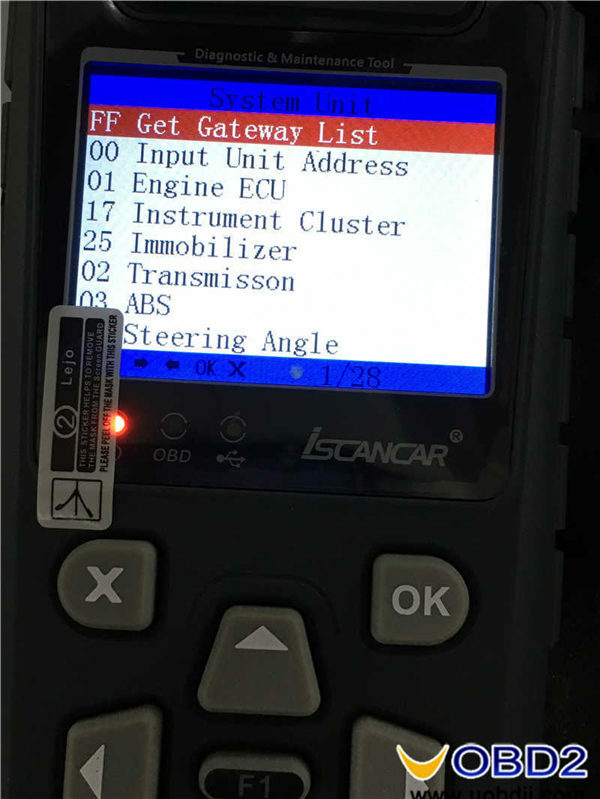 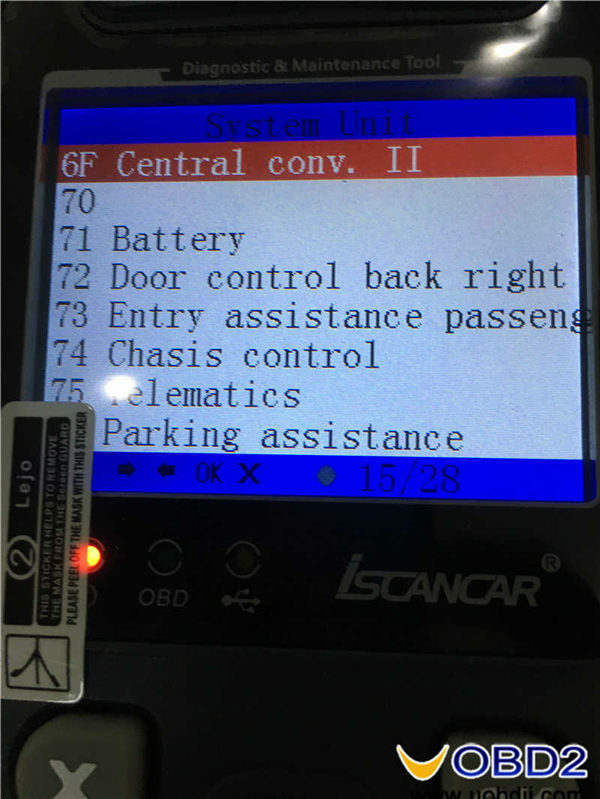 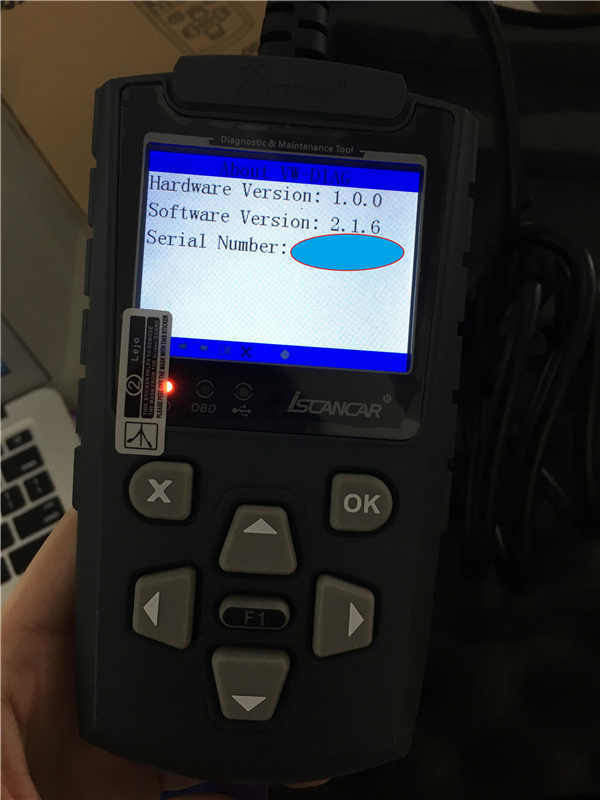 Received Xhorse Iscancar VAG MM-007 yesterday, and today hook it up the VAG car buy plugging the 16pin cable to the OBD port, what nice features are: plug and play handheld device; can perform special functions; cover more than 220 system unit and with guide functions. . 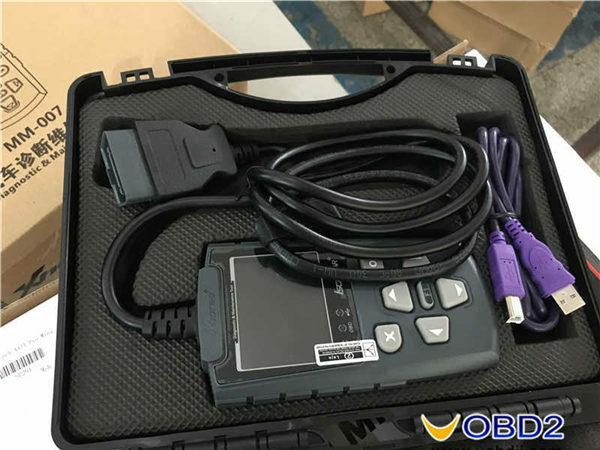 Packed in good condition, in paper box then in fiber box. 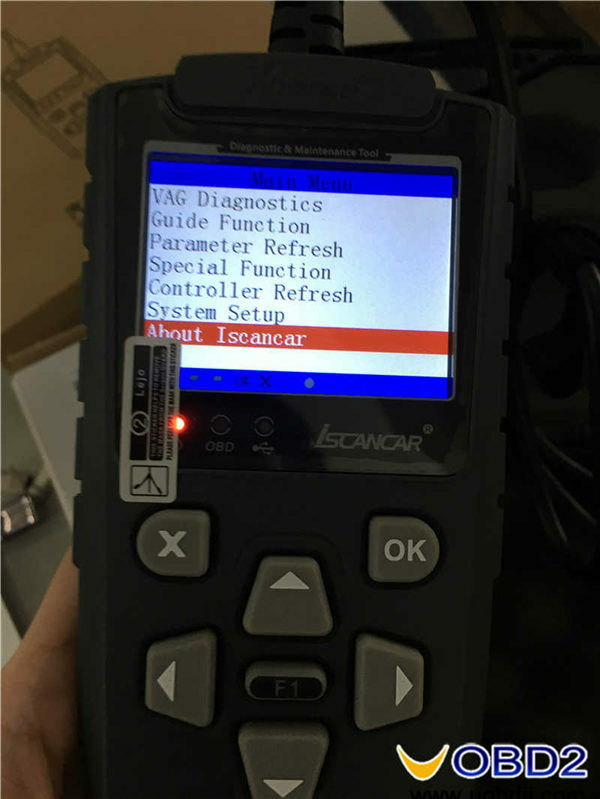 Open the fiber box, it contains one Iscancar VAG MM-007 unit with 16pin cable, and an USB cable. 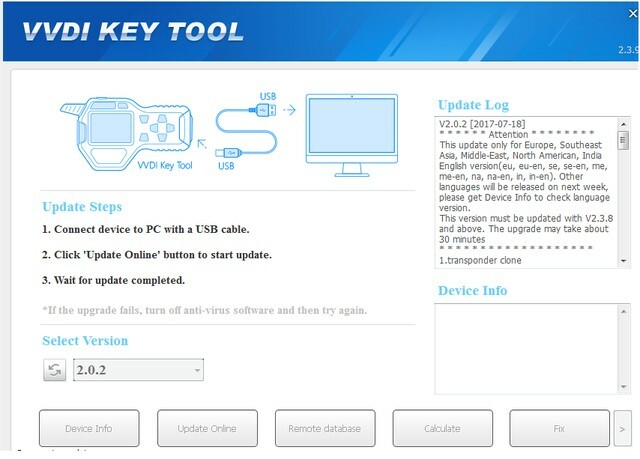 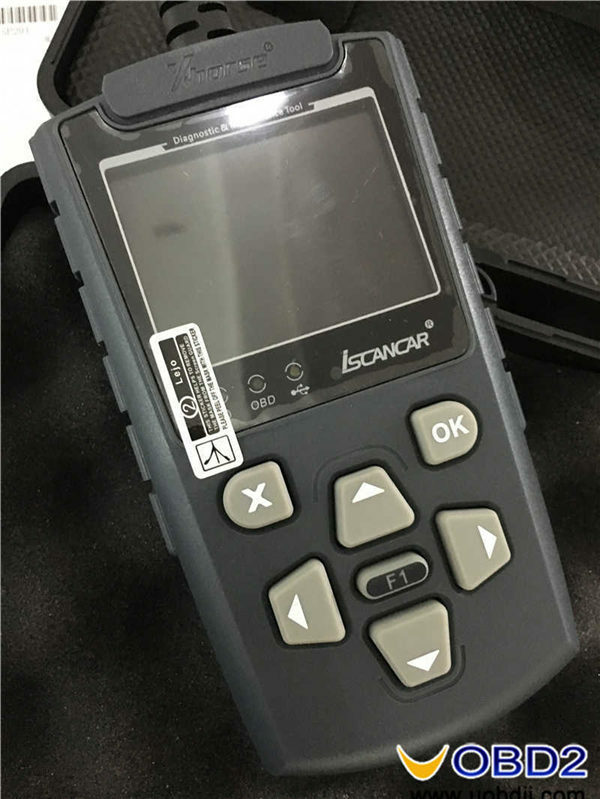 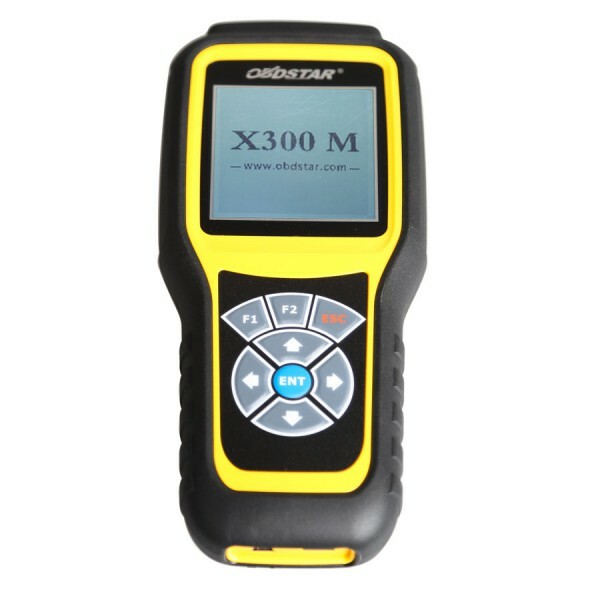 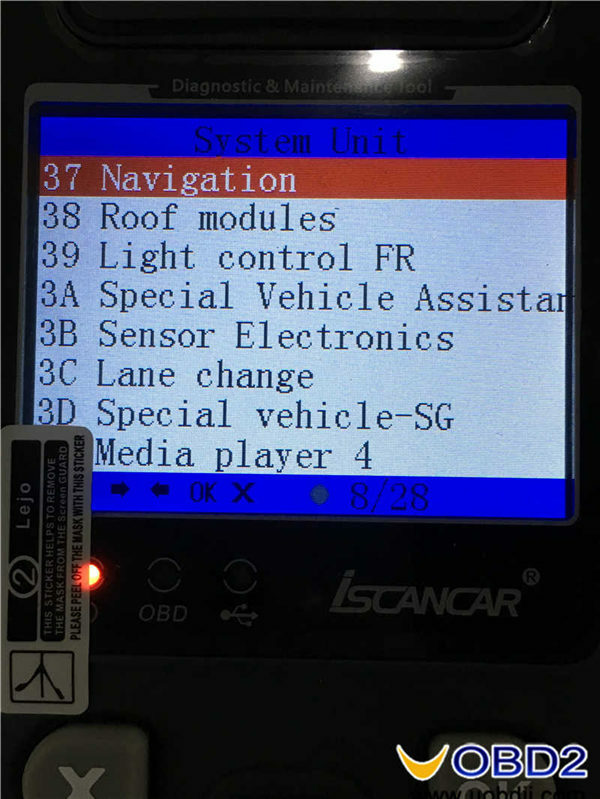 The main unit with several buttons and a screen display (it claims to be 320×240), looks good quality and suits for the user’s hand. 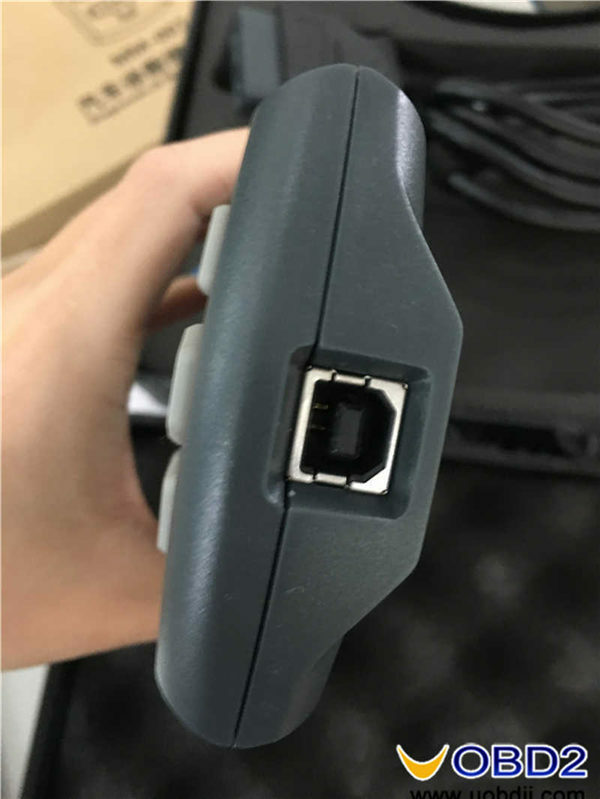 The port is used to plug the USB cable and to update. 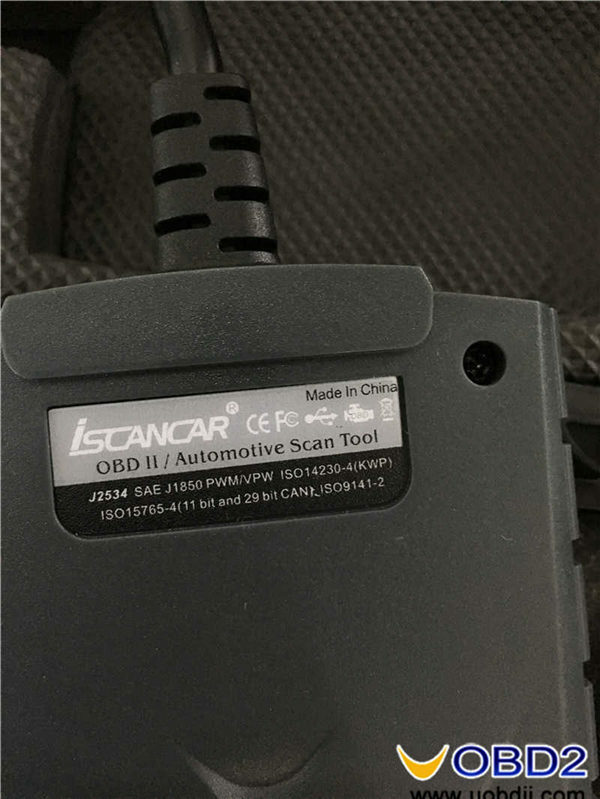 The back printed with Iscancar VAG MM-007 supported protocols including. 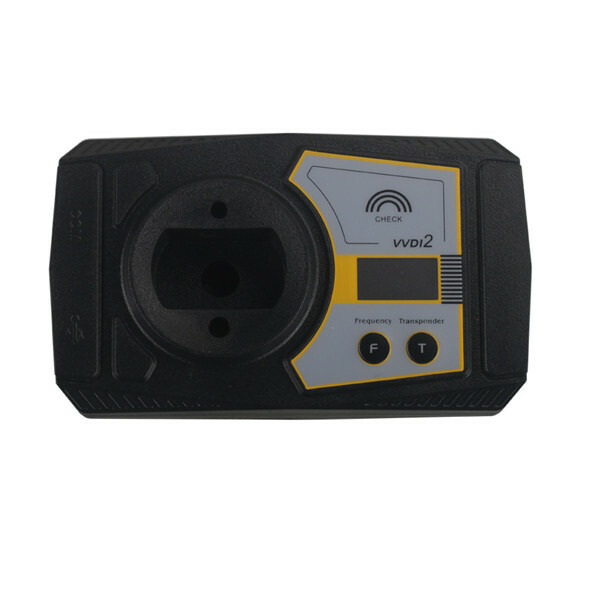 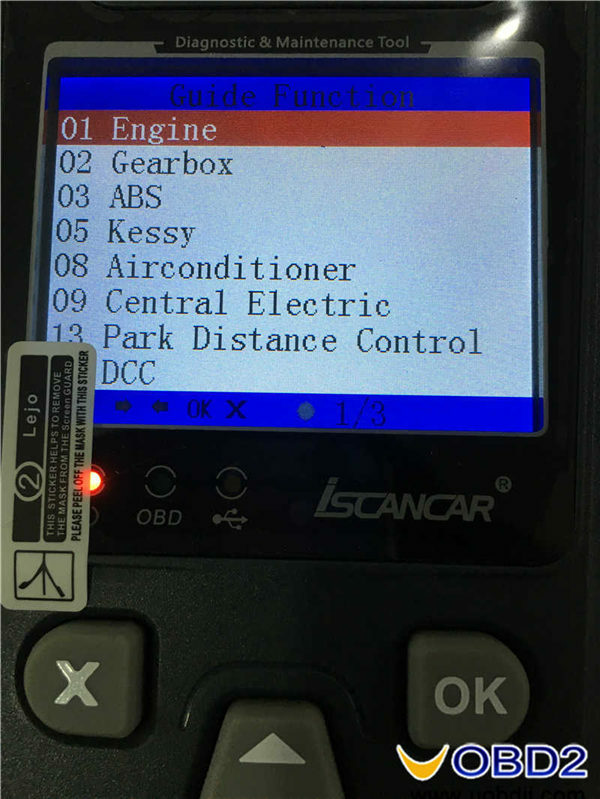 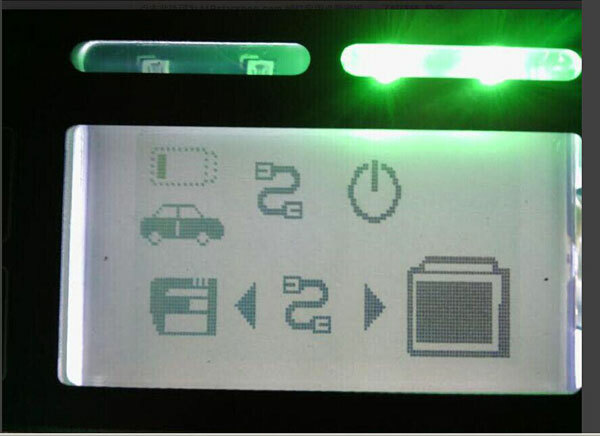 J2534 SAE, J1850 PWM/VPW, ISO 14230-4 (KWP), ISO 15764-4 (11 bit and 29 bit CAN), ISO 9141-2. 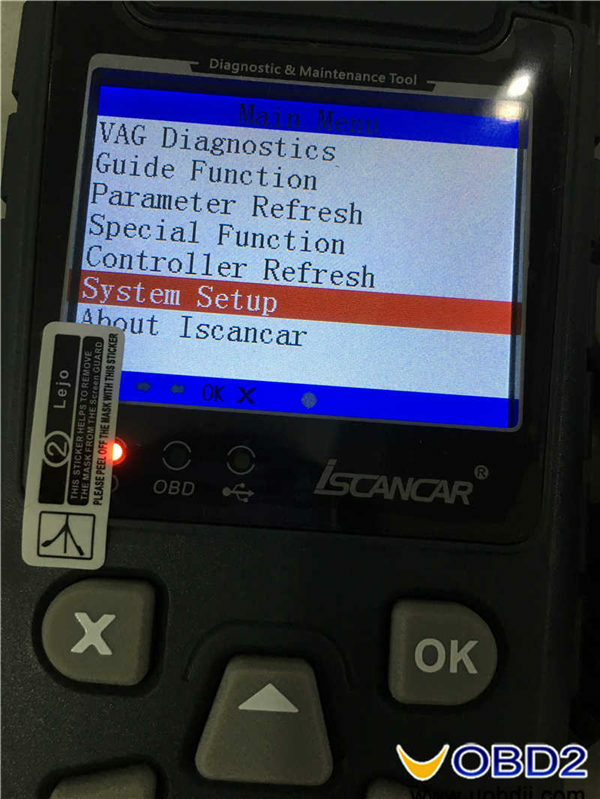 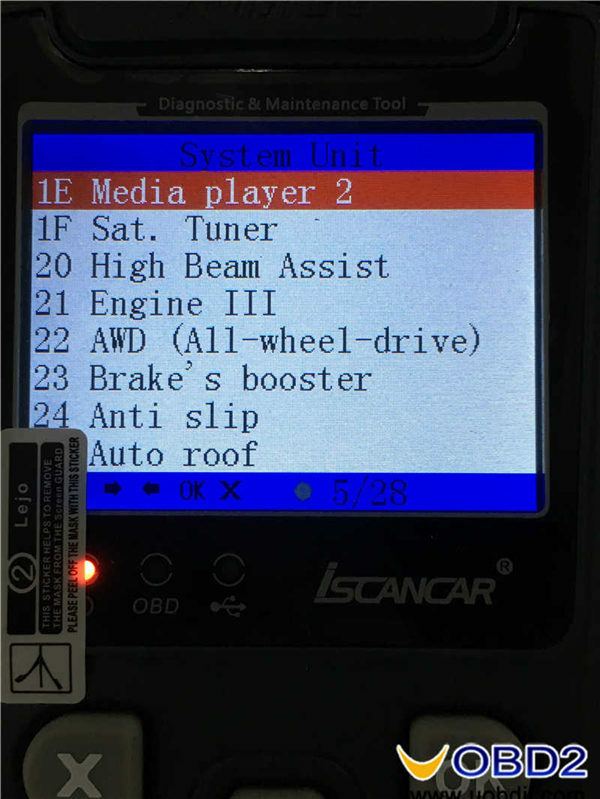 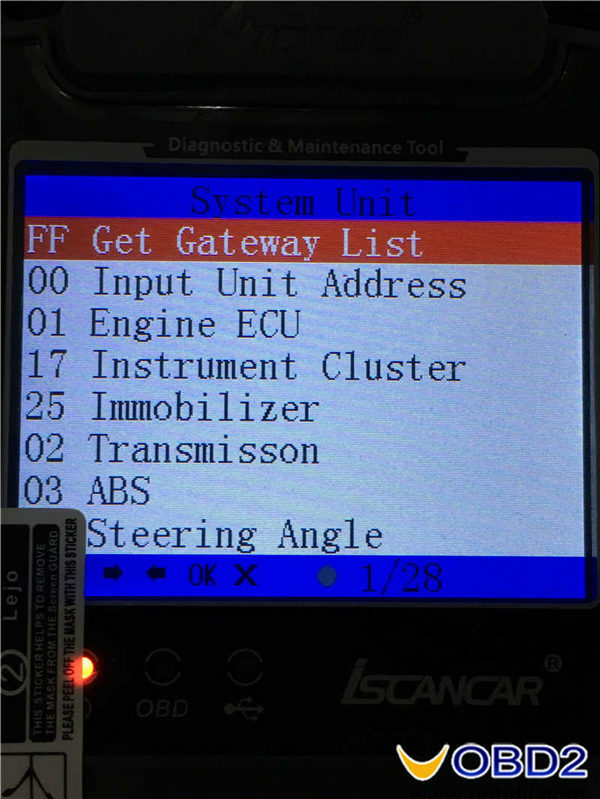 Hook Iscancar VAG MM-007 up to the VAG car and starts to diagnose and perform special functions. 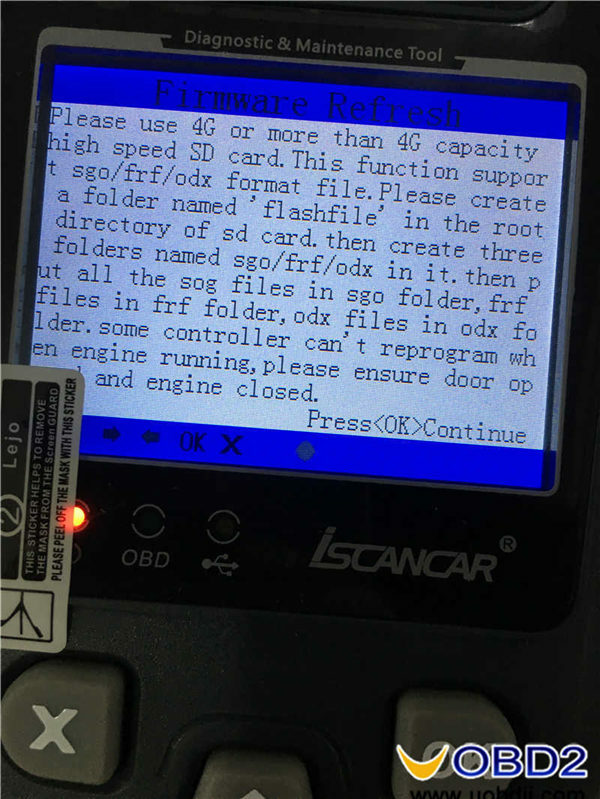 Here we go one by one from the menu. 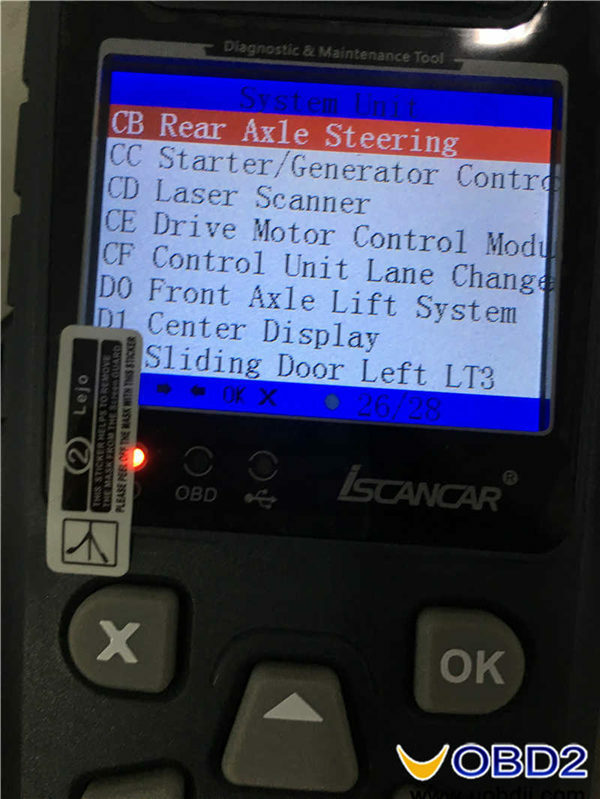 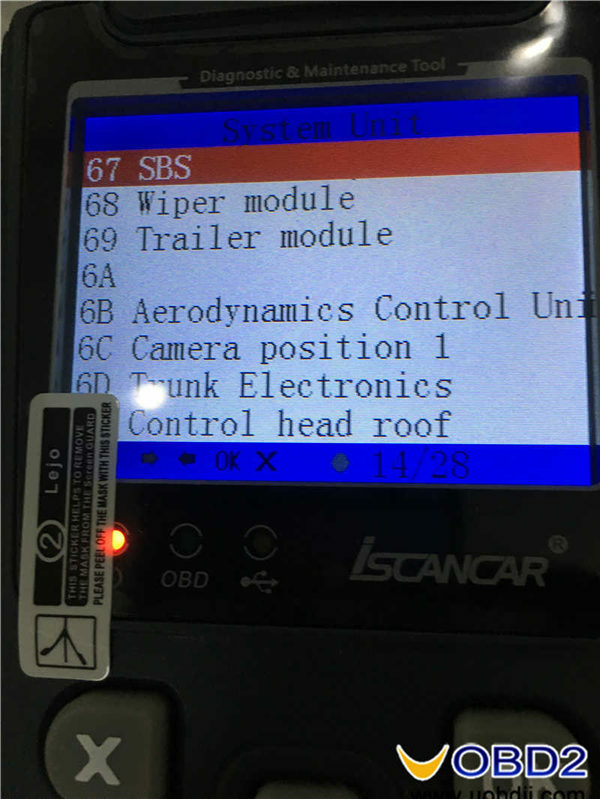 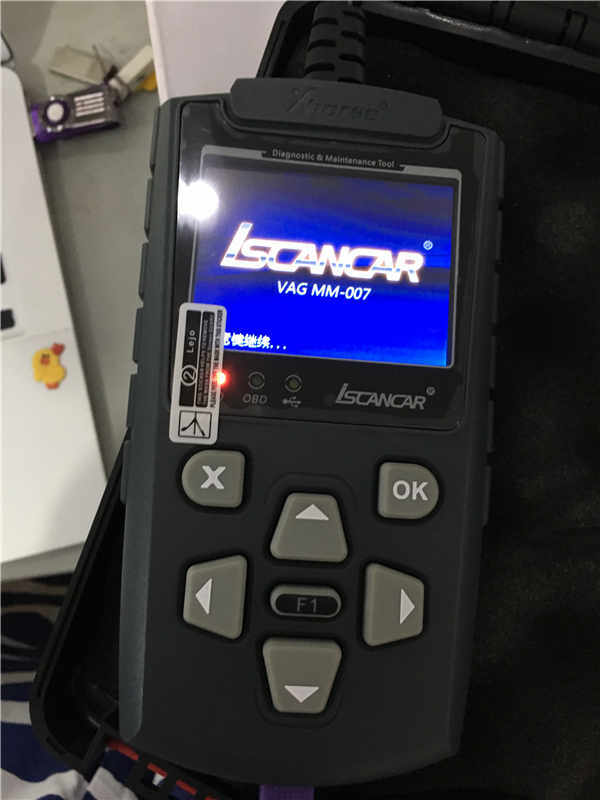 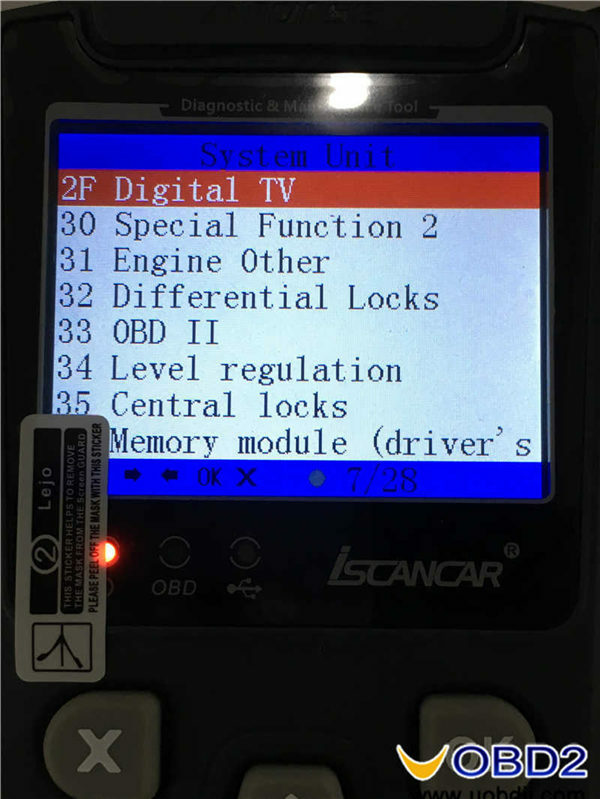 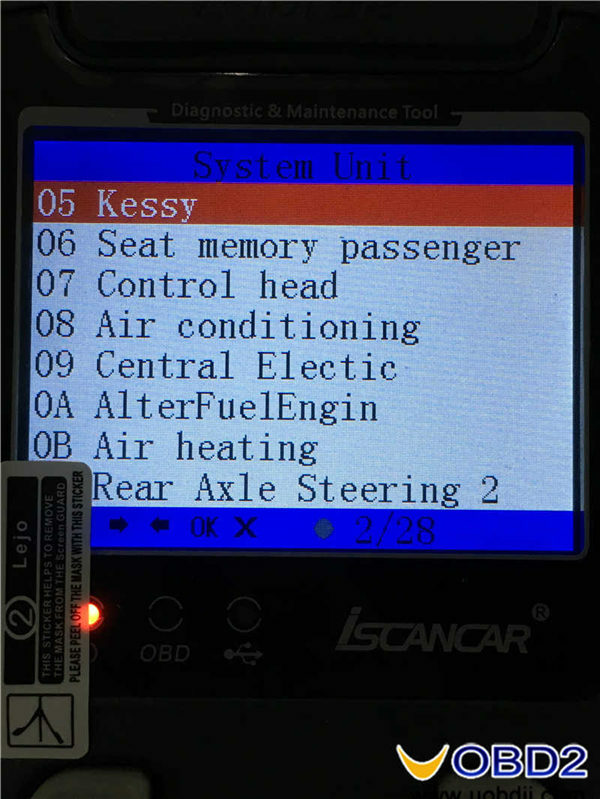 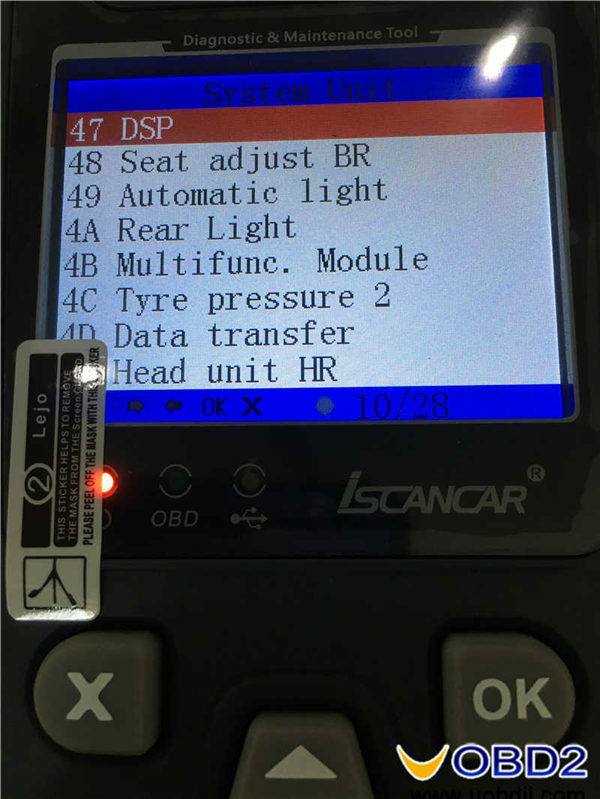 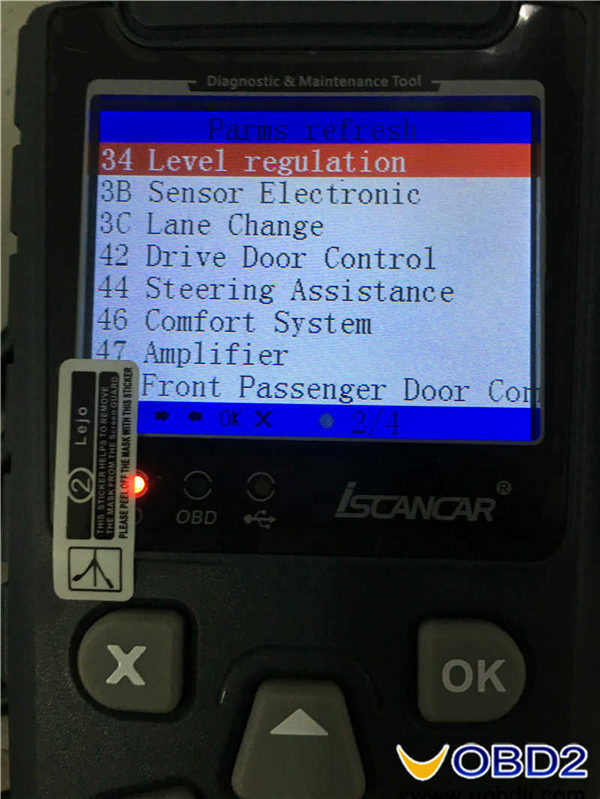 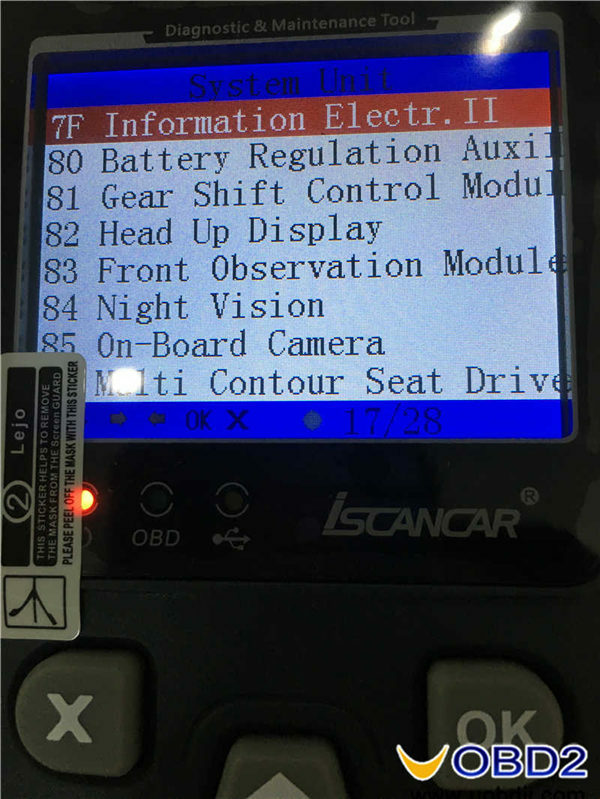 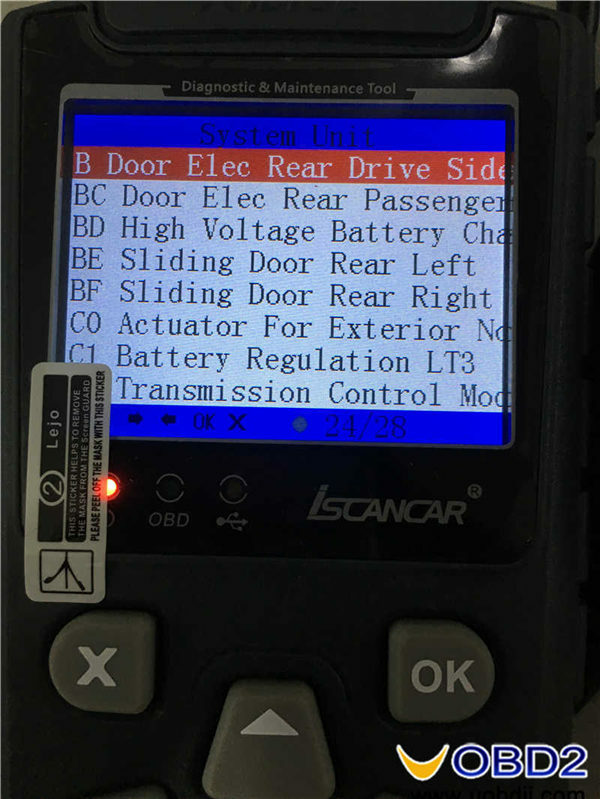 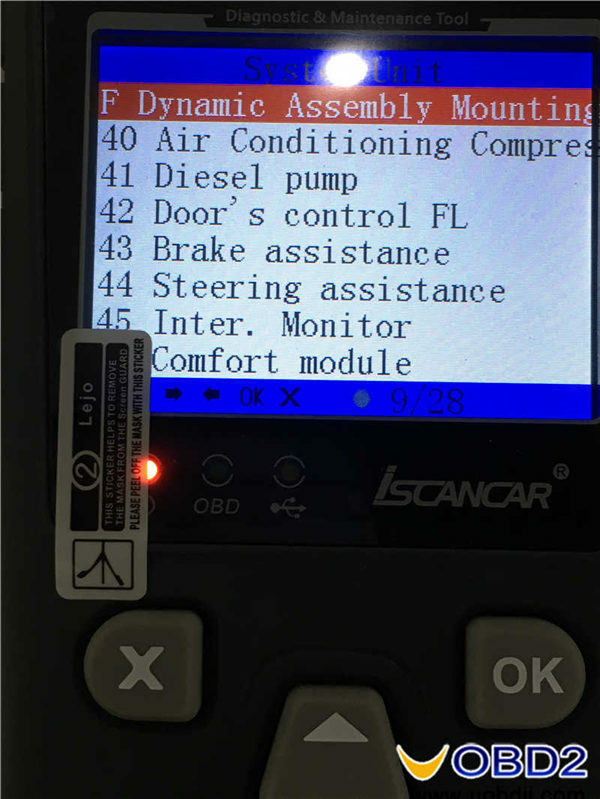 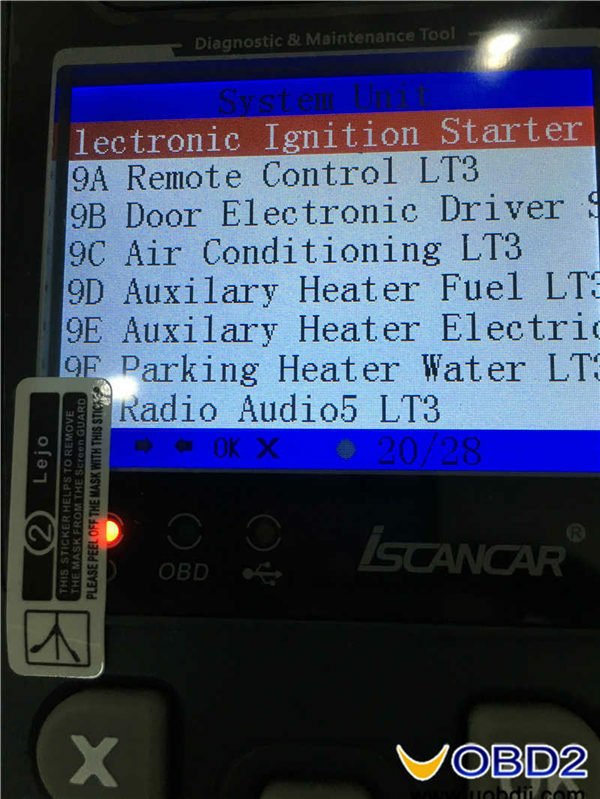 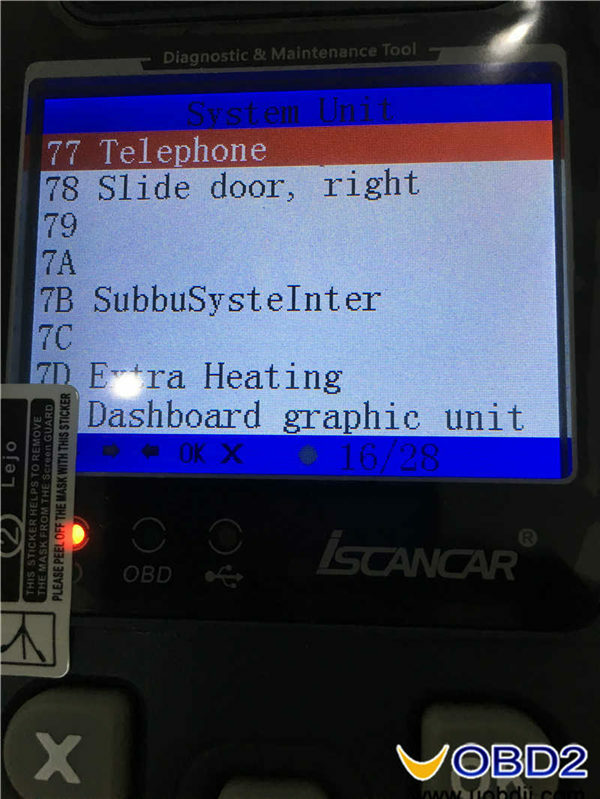 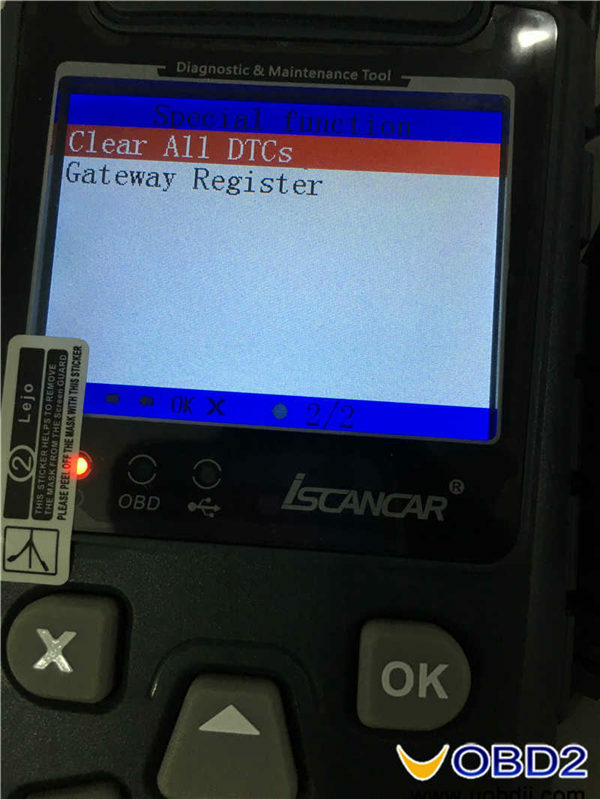 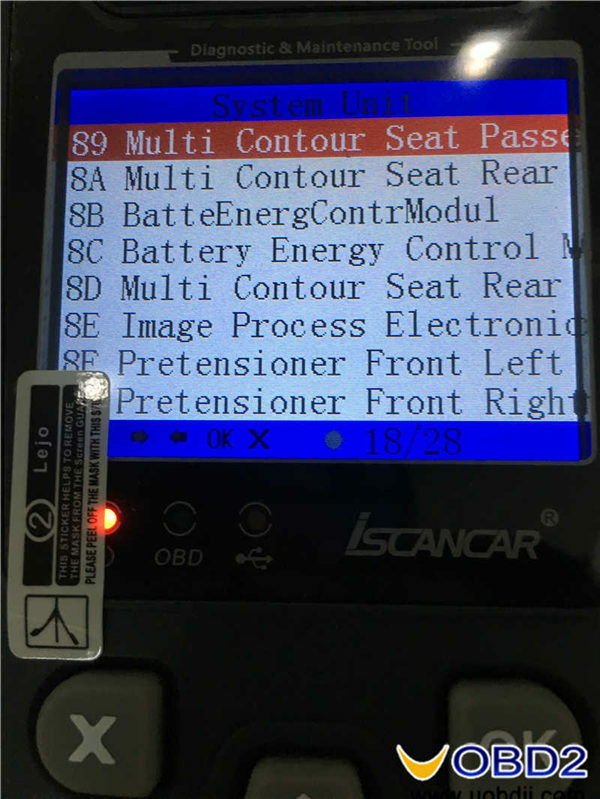 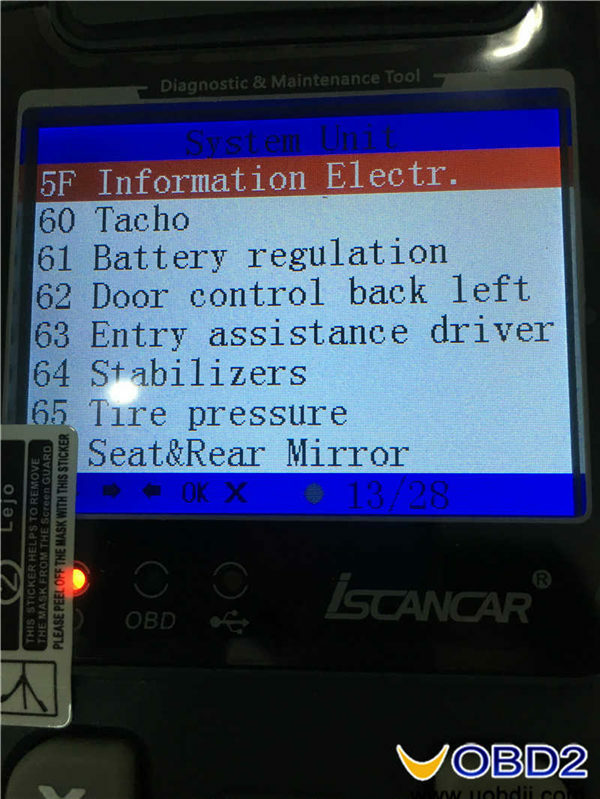 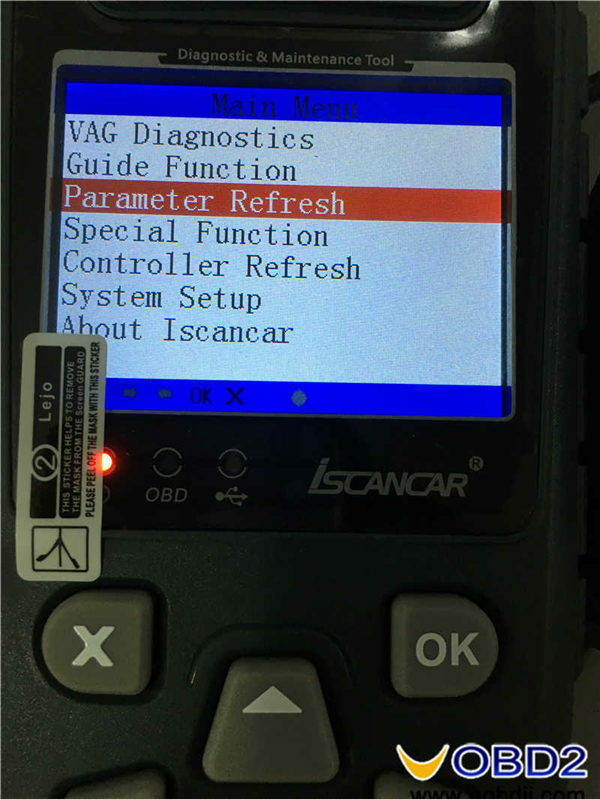 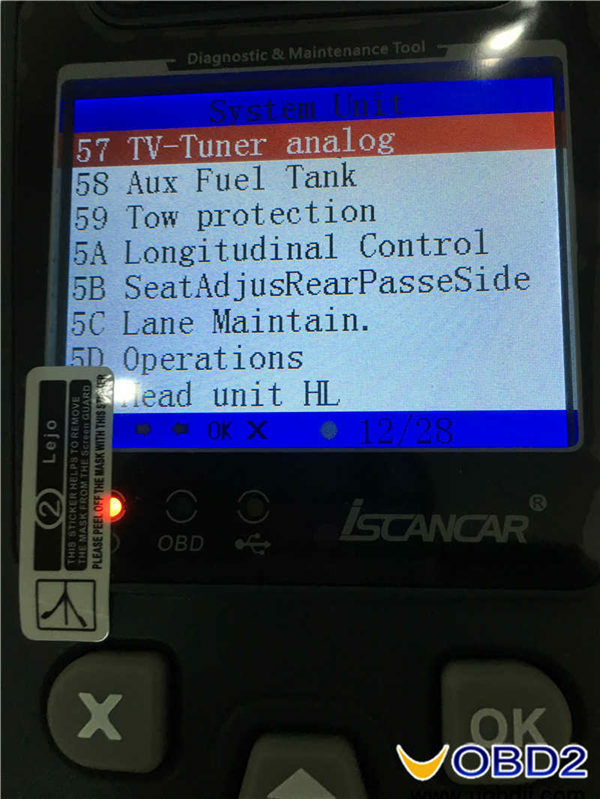 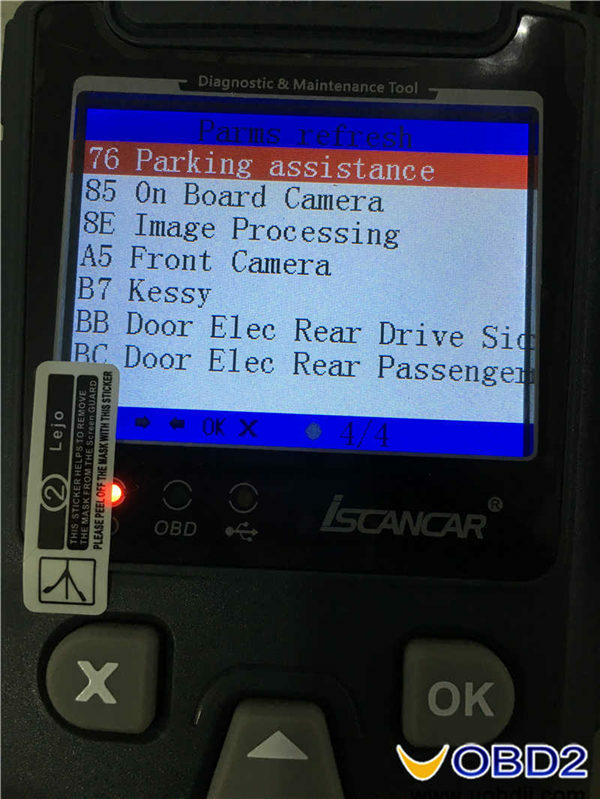 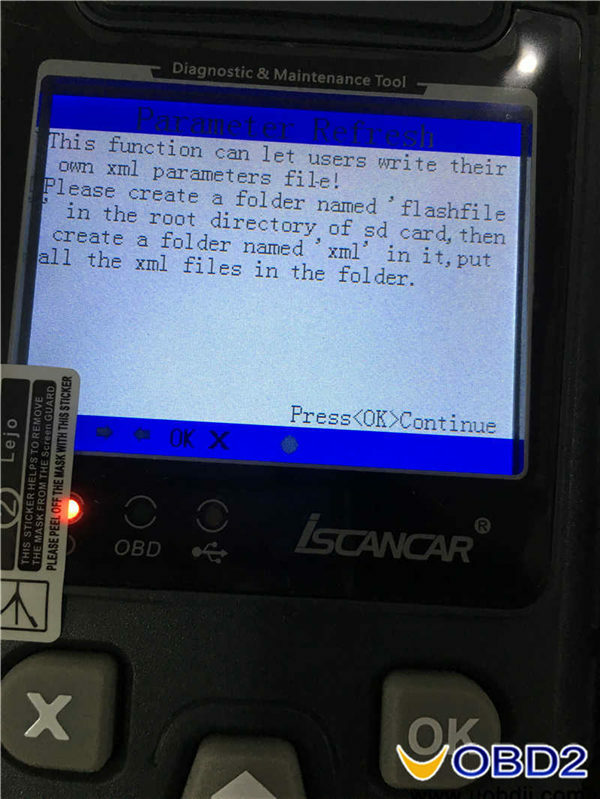 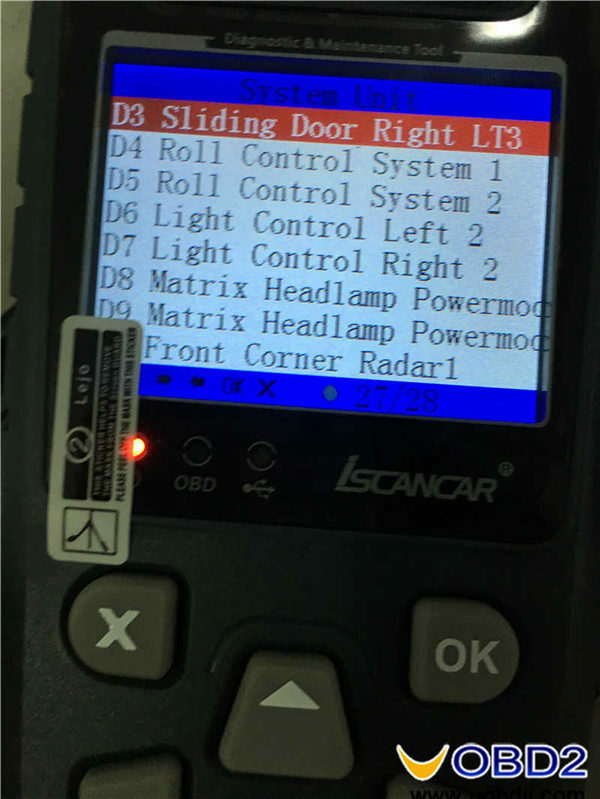 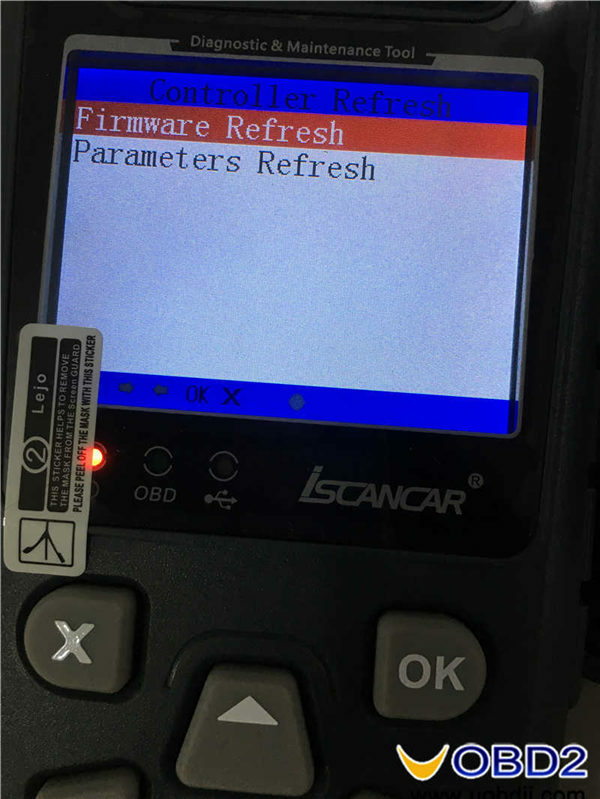 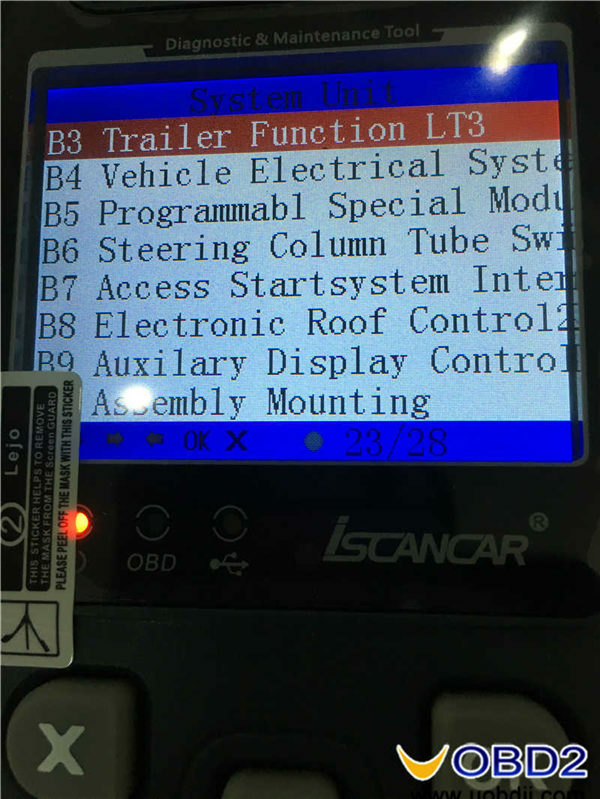 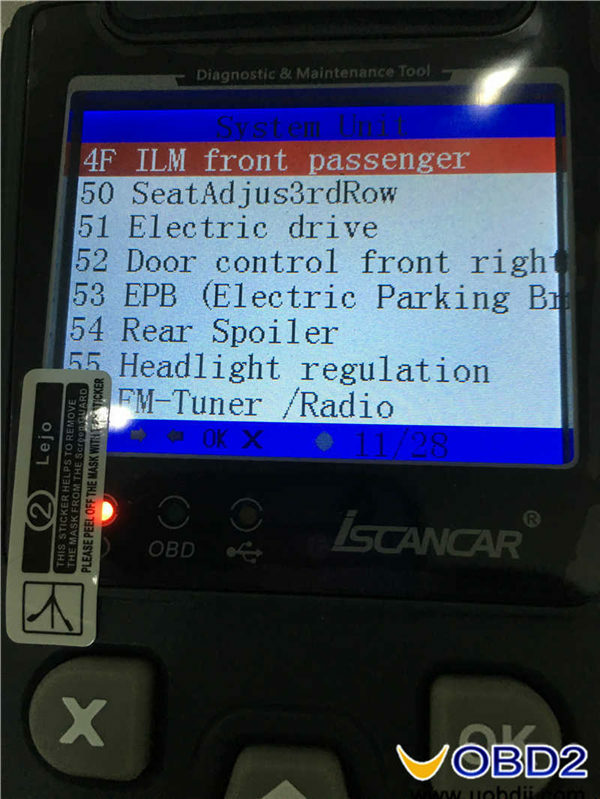 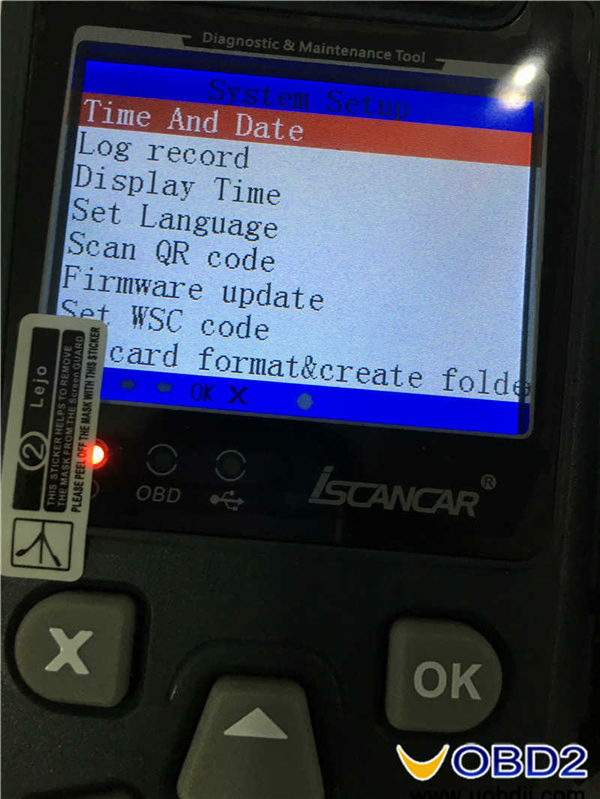 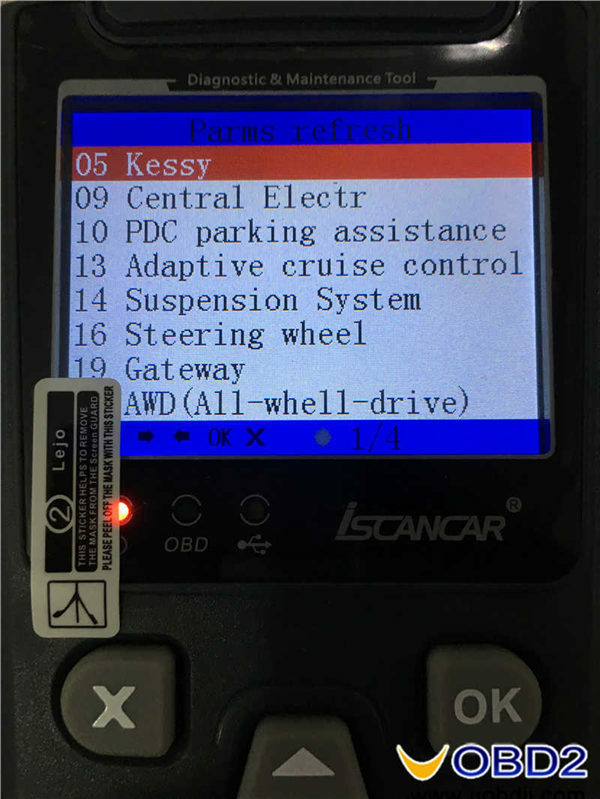 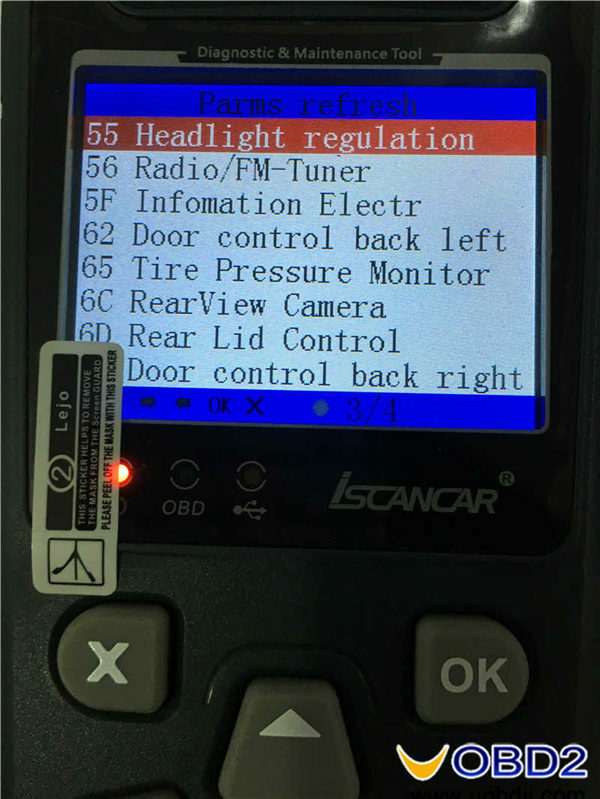 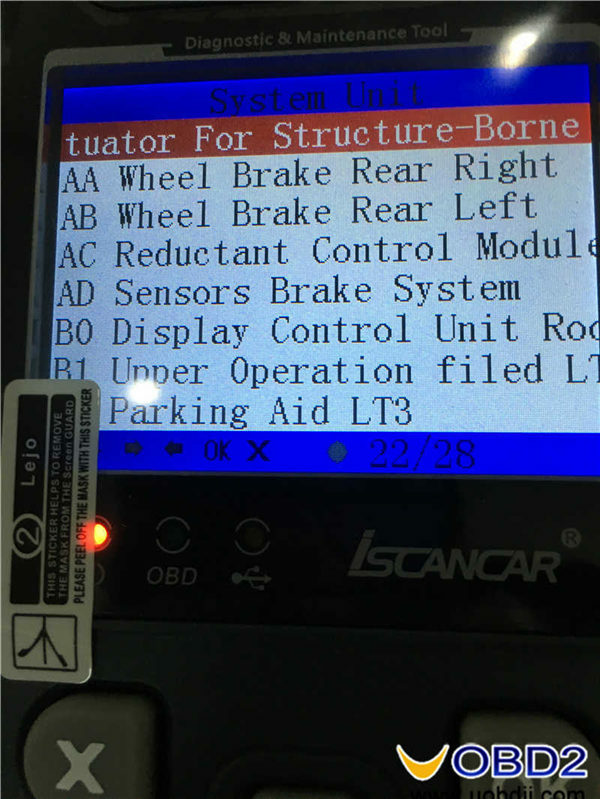 Click “about iscancar” for Xhorse Iscancar MM-007 Serial number, hardware version and software version. 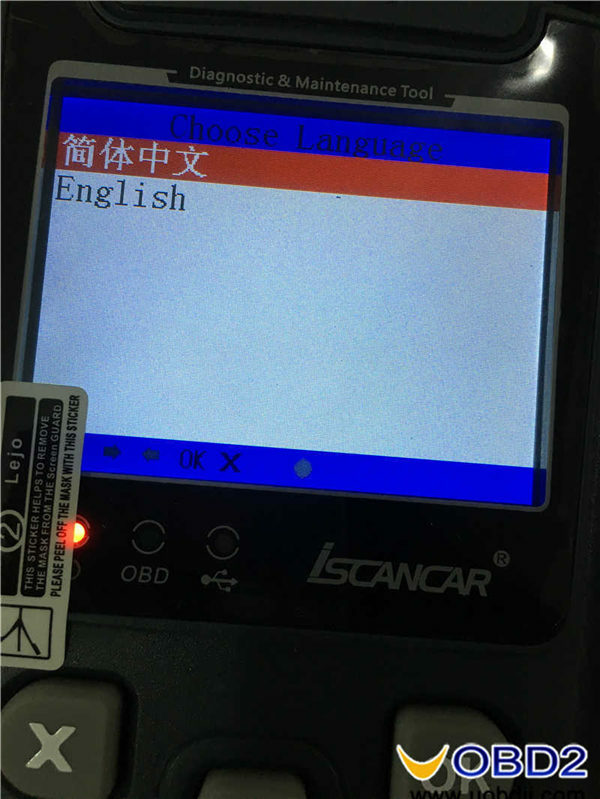 Only available with English and Chinese. 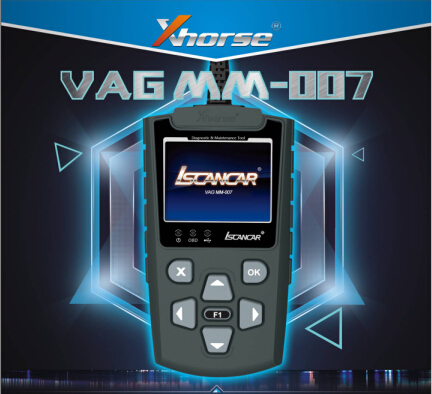 Xhorse Iscancar MM-007is compatible with more than 200 system units. 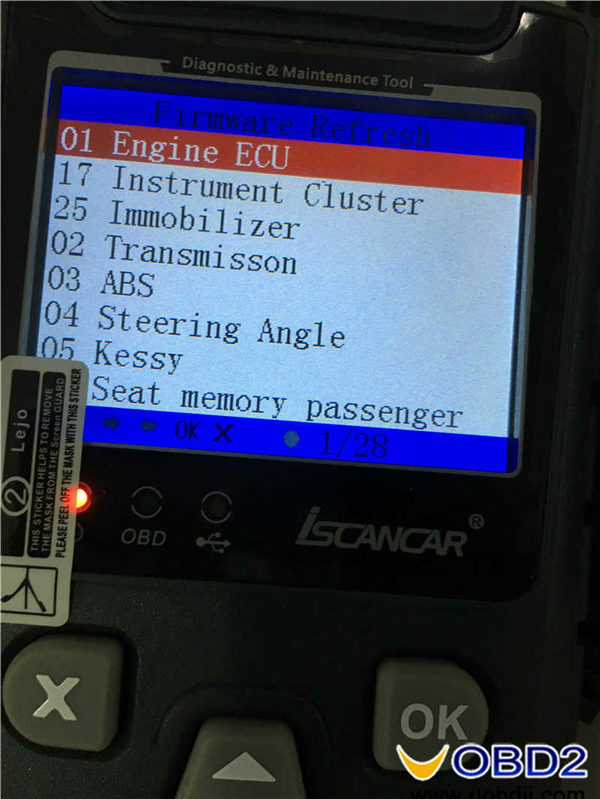 It’s pain to find out the specific system unit I want to diagnose, an easier way is to choose “Guided Function” and choose by the ECU name.